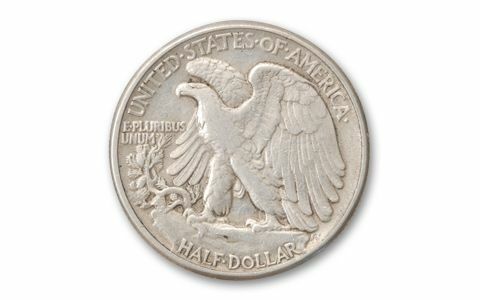 Between 1916 and 1947, the U.S. Mint struck what many believe is the most beautiful silver half dollar ever released: the Walking Liberty Half Dollar. 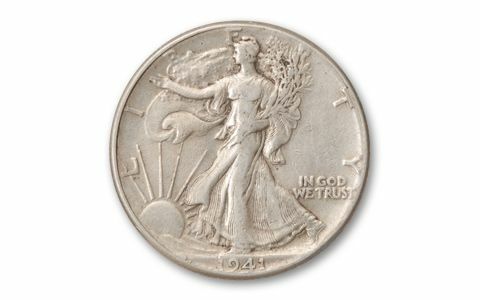 The coin features Miss Liberty draped in a U.S. flag, walking boldly into the sunrise. The design reflects America's rise to prominence on the world stage. Many millions were struck, and many millions were melted to get their silver. 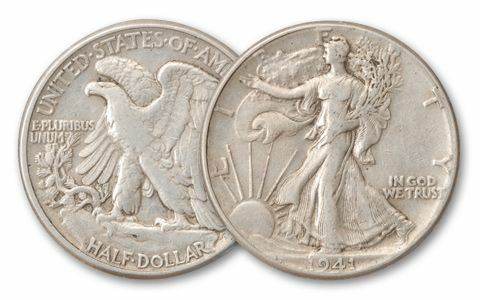 Today, these spectacular silver coins are difficult to locate in the high collector grade of Extremely Fine (XF). After much searching, we're pleased to offer you these silver "Walkers" in 20-coin full bankers rolls. But hurry, our supplies are walking out the door fast! Dates vary.